Women's University, Azad Jammu And Kashmir, declared many jobs in Bagh. Jobs in the different Women University Of Azad Jammu have been announced. Both men and women can apply for this job. 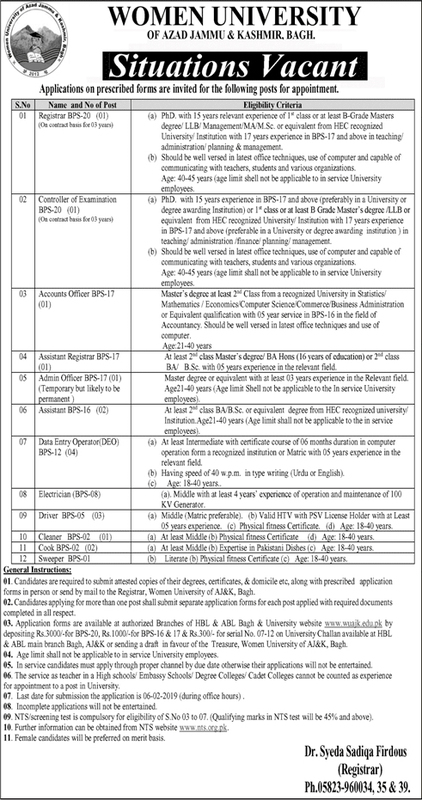 I will provide you complete information regarding Women University Of Azad Jammu And Kashmir Bagh jobs 2019. Applications on prescribed forms are invited for the following posts for an appointment. February 6, 2019, is the last date to apply.